Graham: I Won't Blame Trump For "Nut Job" Bomber - Joe.My.God. 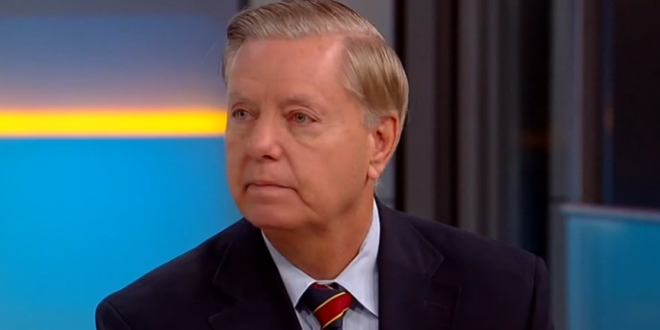 Sen. Lindsey Graham, R-S.C., said Thursday that some “nut job” sent suspicious packages with potential bombs to high-profile Democrats, brushing off complaints that President Trump’s pointed rhetoric is to blame. About the nut-job sending bombs in the mail –- Simply put, this is NOT the way we do business in America.